Francis accepts archbishop of Santiago’s resignation - SABC News - Breaking news, special reports, world, business, sport coverage of all South African current events. Africa's news leader. To date, Ezzati, the Catholic Church's highest official in Chile, has maintained his right to silence although he has promised to co-operate with the investigation into his activities if the authorities first clear him. 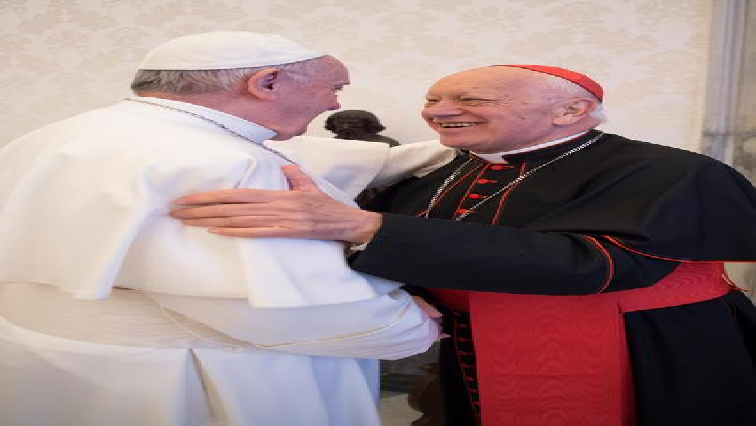 Pope Francis has accepted the resignation of Chilean Cardinal Riccardo Ezzati, who had agreed to step down along with his country’s bishops over sexual abuse cases and their cover-up. Ezzati, archbishop of Santiago, is the seventh senior Chilean church official to resign over a scandal which the pope insists must be remedied. To date, Ezzati, the Catholic Church’s highest official in Chile, has maintained his right to silence although he has promised to co-operate with the investigation into his activities if the authorities first clear him. He insists that he’s innocent. The latest move in the Vatican’s attempts to deal with abuse within the higher structures of the Roman Catholic Church comes just days after disgraced Australian Cardinal George Pell received a jail term for sexually abusing two choirboys. Pell has maintained his innocence and says he plans to appeal his conviction on five offences including molestation of the boys in 1996-1997. The decision over Ezzati also comes with Chilean media reporting that the nation’s court of appeal had confirmed he would face trial for not denouncing sexual abuse by three priests. This entry was posted on 23 Mar 2019,06:06PM at 6:06 PM and is filed under Lifestyle, Homepage Featured Story Slider. You can follow any responses to this entry through the RSS 2.0 feed. Both comments and pings are currently closed.